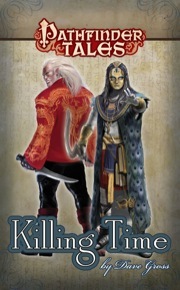 Returning to Absalom from faraway Tian Xia has done nothing to separate Venture-Captain Varian Jeggare and his infernal companion Radovan from trouble. While Varian deals with the inscrutable Decemvirate and an old enemy, Radovan plunges himself into Absalom's seediest alleyways and soon finds himself doing the bidding of a beautiful but scheming courtesan. Will Varian and Radovan overcome some of the worst Absalom has to offer, or have they survived their adventure in Tian Xia only to seal their fates on their first night in Absalom? 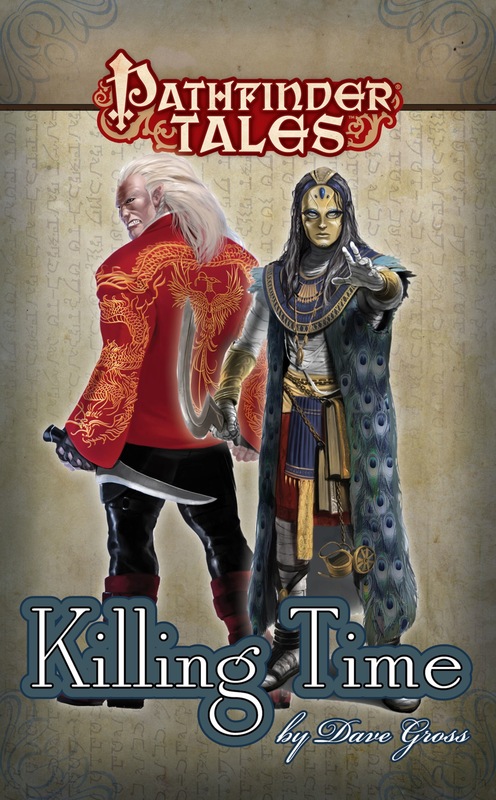 From fan-favorite author Dave Gross comes a tale of high adventure and situational ethics, set in the award-winning world of the Pathfinder Roleplaying Game. This story originally appeared as part of Paizo's free weekly webfiction series, and is available for free at paizo.com/pathfinder/tales/serial. This little four-chapter tale, is less of a single story and more of a pair of interludes between two Tales novels. The story shows how both of the "boys" are dealing with all the events that they went through in Master of Devils. The four chapters alternate between Count Varian Jeggare and Radovan's point of view. Count Varian Jeggare is frustrated with the Pathfinder Society. During his yearlong absence, the Decemvirate has reassigned all of his agents to other Venture Captains. They are not addressing him as "Venture Captain," or by any other honorifics he is due. While he concerns himself with the slight to his honor, he takes advantage of the Grand Lodge's librarys to increase his repertoire of spells. While engaged in that activity, he meets and old acquaintance. Radovan has also just gone through a very difficult year. Somewhat against his will, he killed some people. Some of them were very good people. He feels guilty about what he has done. This story shows the beginnings of that guilt. Radovan is tired of killing, so how will he react when someone asks him to kill again? I appreciate the pun of the title. This short story shows how the boys are "Killing Time" in between books. It is also about how Radovan deals with being asked to kill another person with whom he has no connections. It is Killing Time again for Radovan, but he's tired of killing, he'd rather incapacitate someone and walk away. We get a humorous account of this in his first chapter (Monkey Plucks the Peaches). However, in his second chapter we get to see how Radovan is really a nice guy who wants people to treat each other nicely, but sometimes life takes you the other way. It's also "Killing Time" for Count Varian Jeggare as an old aquaintance with a grudge has decided that now is the time to enact his revenge upon the Count. Varian uses all the resources at his disposal to avoid death, but at some cost. His already strained relationship with the Pathfinder Society seems to be even more strained. As he leaves The Grand Lodge, he leads us into the opening of Dave Gross' next novel, Queen of Thorns.